After your family has tried this colorful, iron-rich salad once, you'll crave it again and again. It's yummy and healthy! Serve it with the Honey Poppy Seed Dressing. 1. Remove the stems from the spinach. Tear or chop the leaves into bite-sized pieces. Place into a large salad bowl. 2. Hull and slice the strawberries into a small bowl. 3. Toss the spinach with the Poppy Seed Dressing. 4. 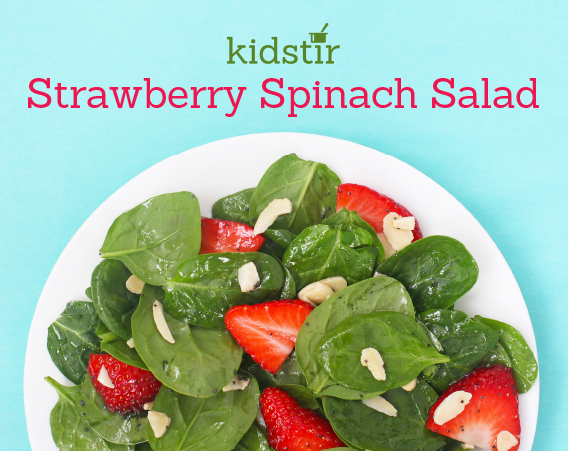 Add the sliced strawberries and almonds. 5. Gently toss again and serve.